CINCINNATI -- A family named in the investigation into the Pike County massacre have moved to Alaska and are "trying to move on," a pastor and family friend told the Dayton Daily News. Ohio Attorney General Mike DeWine and Pike County Sheriff Charles Reader announced Monday that investigators are looking for information about George "Billy" Wagner III, 46, Angela Wagner, 46, George Wagner IV, 25 and Edward "Jake" Wagner, 24. They haven't been named as suspects in last year's killings of eight members of the Rhoden family . However, investigators previously searched properties linked to the Wagners. That search included a state Route 41 property where the owner said authorities looked through trailers owned by the family. Authorities also searched a Peterson Road property the Wagners sold in March and the Flying W Farm, which is owned by Jake Wagner's grandparents. Kelly Cinereski, who's known the Wagners since he led a church in Minford, Ohio, told the Dayton Daily News the family attended his son's church Sunday in Kenai, Alaska. The town, population 7,100, is about three hours southwest of Anchorage. Investigators in Ohio are interested in information about "any interactions, conversations, dealings, or transactions that the public may have had with these individuals, which could be personal, business, or otherwise. Specifically, information could include, but is not limited to, information regarding vehicles, firearms, and ammunition," officials said in a news release Monday. 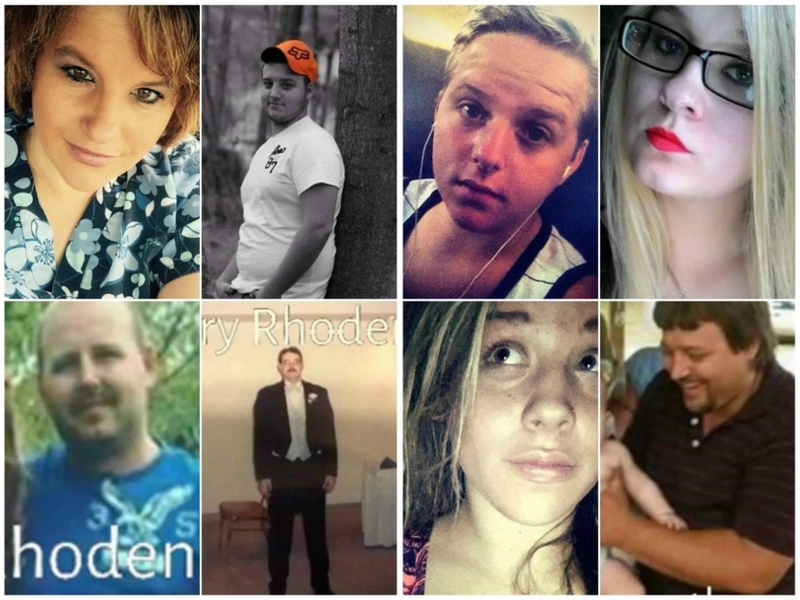 Clockwise from top left: Dana Rhoden, Frankie Rhoden, Chris Rhoden, Hannah Gilley, Kenneth Rhoden, Hanna Rhoden, Gary Rhoden and Chris Rhoden (Images via Facebook and GoFundMe). Cinereski told the Dayton Daily News he hasn't seen the Wagners himself during their latest trip. But he said the family had planned to move to Alaska for decades. They brought trailers with them this time, he said. None of the Wagners talked to him about the Rhoden family killings or the subsequent investigation, Cinereski said. However, he believes it's been hard on Jake Wagner. The 24-year-old was in a custody dispute with Hanna Rhoden, one of the victims, according to Leonard Manley, her grandfather. "I think their son went through a lot of hurt over the whole deal," Cinereski said. "I think they’re trying to move on." Reader has said he believes the killer or killers are locals , but authorities have never named suspects in the case. Officials asked anyone with information to call the BCI tip line at 1-855-224-6446 or the Pike County Sheriff's Office at 740-947-2111. Information will remain confidential, they said.